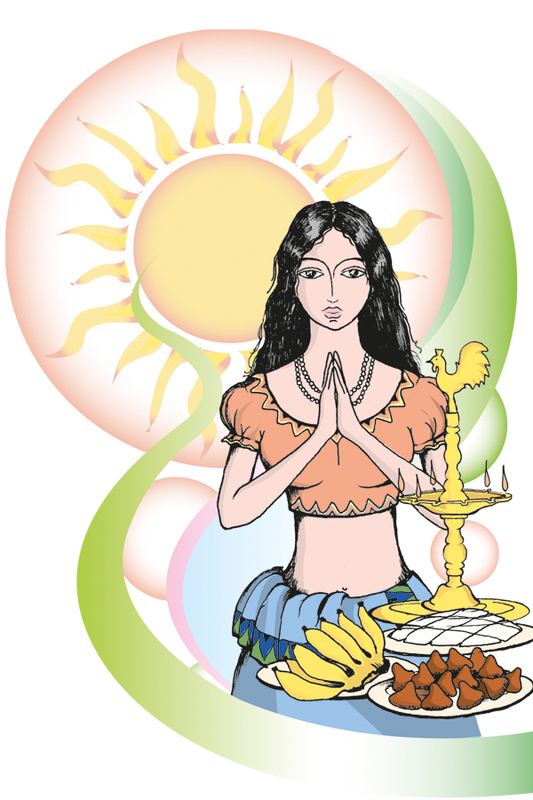 Every year, “Koha” reminds us early on, that the new year is just around the corner, and for the past couple of weeks, the whole country has been abuzz with a multitude of preperations to welcome the Sinhala and Hindu New Year, which falls on the 13th April. It is a time in the year, that everything is done following age-old traditions in both the Sinhala and Hindu culture. According to the astrologers, it is the sun’s transition from the Meena Raashiya to MeshaRaashiya completing a cycle of 12 months that is marked by the New Year celebrations. New Year celebrations are tied to the Sun God who is devoutly worshipped by farmers since it is believed that He makes it possible for the farmers to cultivate their lands well to get a good crop. Being able to reap a good harvest makes the farmer able to afford to live comfortably and meet all his needs, till the next harvest. In a way, it is a thanksgiving ceremony to all the Gods, who, in the world of farming are denoted by natural elements – the sun, the rain, water, earth and even the wind – which ensure that the farmer gets to reap a good harvest . In Sri Lanka, agriculture had been the main livelihood of the majority, and thus, it has been treated with much respect and honour. Our whole lifestyle had been fashioned around this way of living, and though much has changed in our lives with the industrialism, still, certain traditions and rituals which have been connected to a agriculture based living, is celebrated with much devotion, since it denotes who we are, largely.